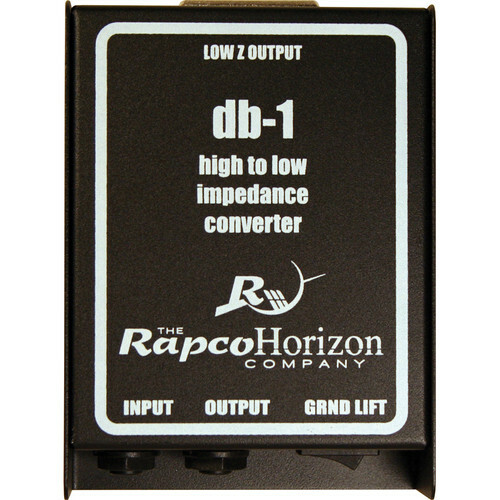 Ideal for studio, house of worship, or live stage applications, the rugged RapcoHorizon DB-1 is a single-channel, passive direct box designed to provide musicians and audio engineers with a simple solution for connecting a mono instrument (such as a guitar, bass, or keyboard) to a microphone preamp. It converts a high-impedance, instrument-level signal via its 1/4" TS unbalanced input connector to a low-impedance, mic-level signal via its balanced XLR output connector. A 1/4" thru jack allows simultaneous connection to an amplifier or pedalboard. 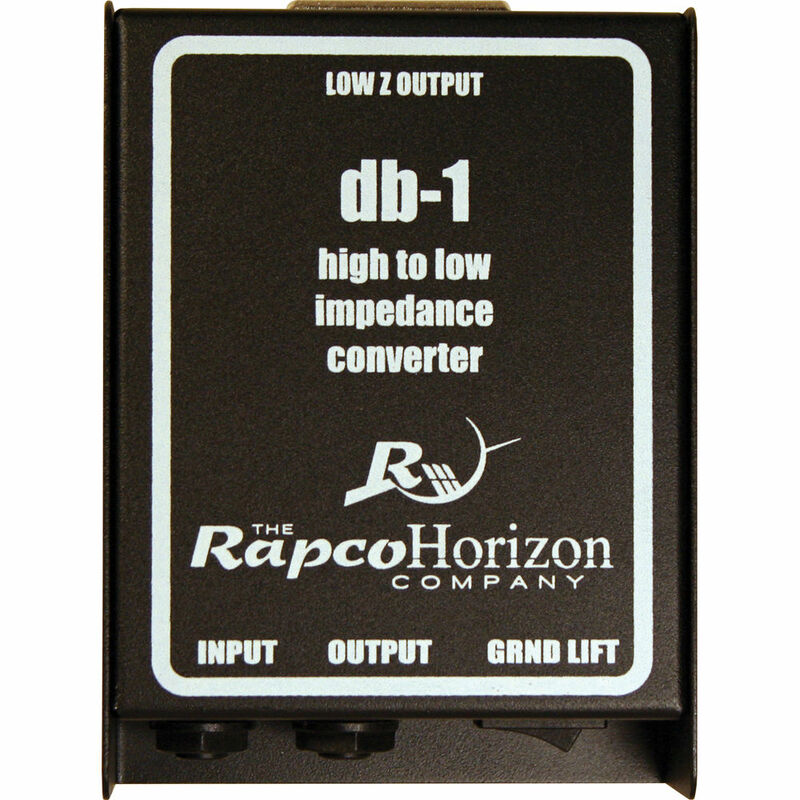 The DB-1 is equipped with a ground-lift switch to reduce hum caused by ground loops. Due to its passive design, the unit does not require a battery or power supply to operate. Box Dimensions (LxWxH) 6.5 x 5.0 x 2.2"
DB-1 Single-Channel Passive Direct Box is rated 5.0 out of 5 by 1. Rated 5 out of 5 by Joseph from Does the job at half the origional price. One of our old Horizon DI boxes died of a transformer. This one cost half as much.